Blue Drift - "Cobalt Coast"
Blue Drift is Dave Lodder on guitar and keyboards, his brother John Lodder on bass, and drummer Arch. And while the band has formal connections with Celtic prog rockers The Morrigan, they’ve jettisoned the Celtic influences in Blue Drift in favor of an edgy and often quite atmospheric instrumental prog sound that sometimes borders on space rock territory too. The opening track, Slingshot Round the Moon unfortunately didn’t grab me that much. There was something that was just too familiar about its sound. It had me thinking I was in store for a fairly standard prog/fusion outing here. But as the album progressed, the band slowly but surely changed my mind. I think it was near the end of the second cut, the lovely titled Cobalt Coast, with its haunting, extended coda that I started to sit up and take notice. Things got even better from there. While The Eighth Room was a better and fresher sounding take on the prog/fusion thing than the opening cut, it was with the epic Freak Weather that things really started to smoke. One of the best tracks on the album (and the longest cut, clocking in at almost 14-minutes), it starts out in Rush territory, but twists and turns all over the place, with some delicious atmospheric parts in the middle, complete with flowing synths and stormy weather sounds, right on down to a smashing Genesis-like finale. Cape Canaveral also has a tasty Rush sound about it, but Dave Lodder’s guitar leads are quite jazzy, taking it in directions that Rush never did, with a few creative electronic touches thrown in for good measure. The brief but effective The Battle of Morton Rouge has a playful feel to it, despite its military marching motif. Another high point on the album is Spirit, one of two tracks composed by John Lodder. Blending Middle Eastern and Asian flavours with both intense, crunching guitars and moody, electronica style passages, this one is a treat for prog rock fans who like it spacey. The Genesis influences creep into the proceedings again for the dreamy album closer, Drift Grass. Here, a repeating acoustic guitar pattern plays while subtle atmospherics glide and swirl over and under it as it builds ever so slowly and seductively to its powerful and heavier finale. Occasionally Blue Drift’s influences are a little too obvious, but they nonetheless make up for it by taking those influences in different directions than the bands that have come before them. And while there are some weaker tracks, the three longest tracks on the album, Freak Weather, Spirit, and Drift Grass are definite stunners that make this one worth picking up. 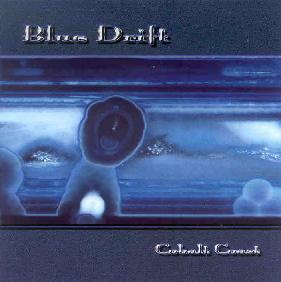 For more information you can visit the Blue Drift web site at: http://www.bluedrift.net.